The science and engineering professions took a big step forward to improve diversity and inclusion across science, technology, engineering and maths (STEM) careers. 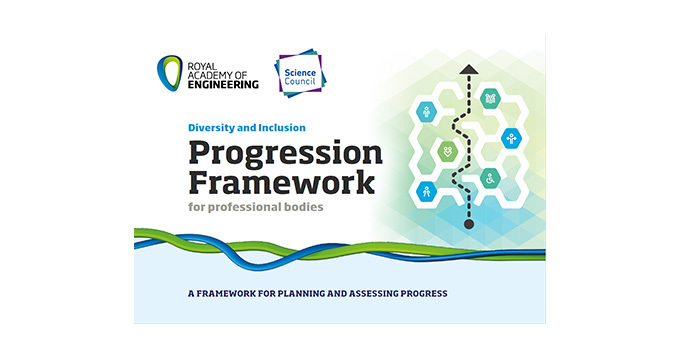 The Science Council and the Royal Academy of Engineering have launched a new framework to help professional bodies assess and monitor their progress on diversity and inclusion, at an event held today at the Institution of Civil Engineers. Many initiatives have been taken to attract and retain more women and young people from ethnic backgrounds into science and engineering careers, but far more needs to be done to make STEM more attractive to, and inclusive of people from a wide range of backgrounds. A new Academy report shows that while engineering graduates are highly employable, there is a noticeable difference in how quickly different ethnic groups fare in the job market: 71% of white engineering graduates find full-time jobs after six months compared with just 51% of black and minority ethnic (BME) students. The science and engineering communities have a long way to go in building a more diverse culture. This will be a key resource for professional bodies and institutions to keep the momentum going. “From the moment a baby is born its life is shaped by the enforcement of stereotypes: girl children are taught they must be clean and quiet; those of certain ethnic origin are expected not to succeed,” said Belinda Phipps, Science Council Chief Executive. Find out more about the framework and how to use it on the Diversity Framework webpage.